As representatives of the Yukon gathered in Ottawa this week to get the ears of federal ministers, there was an emphasis on Yukon housing solutions – in particular, for First Nations. 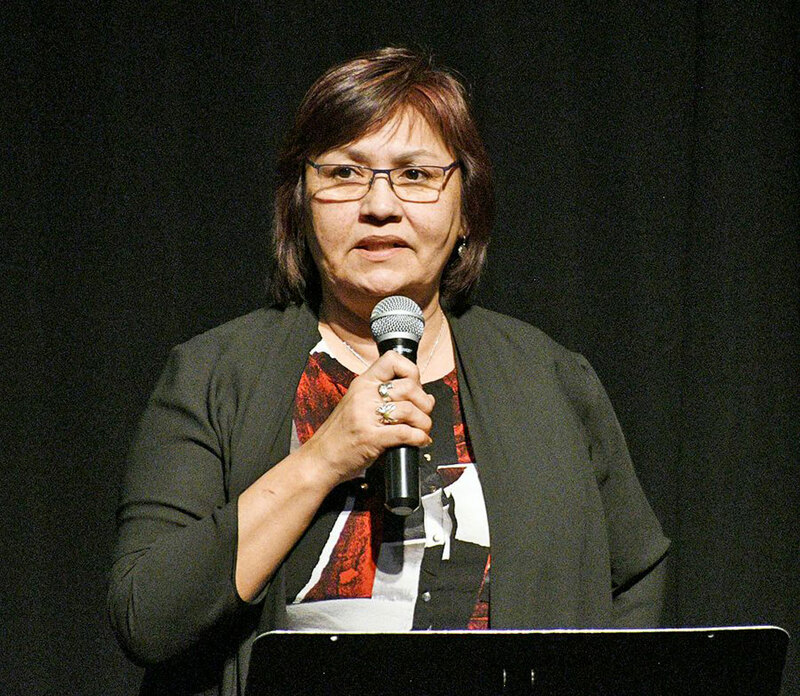 That was a topic Kwanlin Dün First Nation Chief Doris Bill was happy to advocate for, among others, as she sees the current housing strategy as falling short in meeting the needs of Yukoners. Speaking to Yukon media by telephone Tuesday morning, Bill referenced the country’s national housing strategy. Unveiled in November 2017 and coming with a generous price tag of about $40 billion, it spans about a decade. In a brief overview of that strategy, a reference is made to helping Indigenous people and northern communities by focusing on the principles of self-determination, reconciliation, co-operation and respect. The high-level notes tout that the strategy will invest about $300 million to help find affordable homes for northern families to offset some of the costs in building, maintaining and operating housing in the North. While that is all well and good, Bill said, there can be a more concerted effort to address the needs of Yukon First Nations which because they are self-governing, can have the same responsibilities as provinces and territories. “The fiscal relationship between self-governing First Nations and Canada is fundamentally different than the Indian Act band relationship,” she said in a release, also issued yesterday. The need for direct government access to federal housing funding is even more important as a result of this, she continued. “We have really said that over and over and over. That’s not just in housing either, Bill said: it includes support in things like child welfare and the like. Meanwhile, it was a sentiment echoed by both Peter Johnston, the grand chief of the Council of Yukon First Nations (CYFN), and Premier Sandy Silver. The premier admitted it was often an uphill battle at meetings between federal and territorial colleagues to even explain how self-governance has changed the relationship between Ottawa and First Nations. But he’s glad to see ministers like Jane Philpott, who was tasked with Indigenous Services in August 2017, “get it. “They understand it must be frustrating” to have to explain this time after time, Silver added. He explained that was especially useful in conversations about financial transfer arrangements – of which there is still ongoing dialogue. “For Yukon First Nations such as ours, it’s really about the presence and making the ministers understand that we are self-governing” and therefore funded differently, Bill added. Bill noted that some ministers even seemed surprised at this, making it more important to host meetings like this week’s that bring the affected groups to the table. “Nobody else is going to get that point across but us,” she said. “We are outside of the Indian Act,” she said of the territory’s 11 self-governing First Nations with a final agreement, adding that “we need a separate process for that. “And the minister has committed to working on that,” she added of the minister of intergovernmental and northern affairs and internal trade. That’s Dominic LeBlanc, who visited the territory back in August after being appointed to the role in a cabinet shuffle earlier this year. For his part, Johnston added that he hopes the feds can understand that a house in Old Crow, for example, can go for $500,000 as opposed to one in a more urban setting for $300,000. “It’s also important – when we did sign our self-governing agreements, we didn’t have housing included within the package,” Johnston said. That can now lead to delays of arranging housing for an area that shows a difference in what’s available and the demand, he added. On a related note, the political backdrop and timing of such a meeting, that saw reps from the Yukon head to Ottawa this week, was important to consider, Silver added Tuesday. As the federal Liberals gear up for an election, slated for October 2019, the premier explained it was a good time to get a meeting nailed down before the new year. “We don’t have anything to announce on that,” he said when asked about any actions related to housing strategies or initiatives when it came to the territory. “But time is running out,” he added of the negotiations and dialogue that will no doubt be taking place ahead of the budget in the lead-up to the election. Meanwhile, earlier this year, a representative of the M’akola Group was in the territory to present at an event that in part discussed affordable housing. The B.C.-based group is the largest Aboriginal affordable housing developers and provider in the province. Its CEO acknowledged that there was no one size fits all solution for the country, comparing self-governing First Nations here to the reserve set up down south. That event also saw a representative of the Canada Mortgage and Housing Corp. (CMHC) discuss the territory’s housing market, noting that First Nation development corporations (such as Ta’an Kwächän Council’s Da Daghay Development Corp.) were helpful in addressing such pressures by providing land to build on. Bill seemed to hope acknowledgment like that is something that will continue to ring true for federal ministers in charge of decision-making, especially as they go ahead into budget discussions. The meeting this week was also a timely one, Bill added. The KDFN announced last week that a piece of its settlement land is being formally leased to the private sector under rules of the territory’s land titles office. That could help in relieving pressure in the current housing market, among other things, Bill had told a Whitehorse audience then. Calling the feat historic, she said that it was not an easy thing to do. “I’m here to formally thank them as well for their help over the years,” she said of the meeting with federal ministers. Silver said the territory welcomed Ottawa’s commitment in addressing Indigenous housing needs, adding he is happy to come as a unified voice with Bill and Johnston to hammer the point home. So many in the Yukon would be happy for life if they could have low cost 1/2 acre or so plot in a dirt road accessed, well-greenspaced subdivision and throw up a self-built simple wood heated 16x20' type cabin. But that would make too much sense. Better to feed millions and millions to government bloat, the feeding of contractors and consultants and the real estate old boys and girls club rather than do the right thing and just give folks a wee chunk of affordable land and let them do the Yukon thing on their own dime and time as they can afford it.